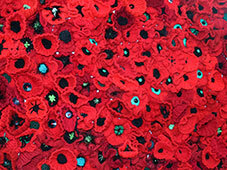 The National ANZAC Centre is dedicated to honouring the ANZACS of the First World War. The Centre was opened by the Prime Minister on 1st November 2014, the centenary of the first convoy's departure for war from King George Sound in Albany. The Centre details the key events of the First World War told through the stories of the ANZACS and following their personal experiences. The National ANZAC Centre is open every day of the year, except for Christmas Day. It is located within the Princess Royal Fortress precinct of Albany Heritage Park. For more information, click here to view website.